Our office is located at Thanksgiving Point in Lehi. I take the train and bike from Provo to get here. The office building does not have a bike rack, and I prefer not to leave my bike at the station all day, so I have always brought my bike inside our office. The building manager recently asked me not to do that due to the mess and that it looks “unprofessional”. Her suggestion was that I chain it to a tree outside instead. I explained that by being careful I can reduce most of the mess (don’t lean against wall, carry in hallway, etc.) and that chaining it to a tree outside looks much less professional than storing the bike inside. Anyway, after a few discussions back and forth and after I reached out to the building owner they finally relented and agreed to install a bike rack outside the building. It will be finished this week and you can bet I will be the first to use it. This is just a small example of how being vocal about how to effectively accommodate cyclists can lead to small change. The building manager will be sending out a memo to all tenants about the bike rack, which will hopefully encourage others to use it and begin biking to work! Great work, Clancy! 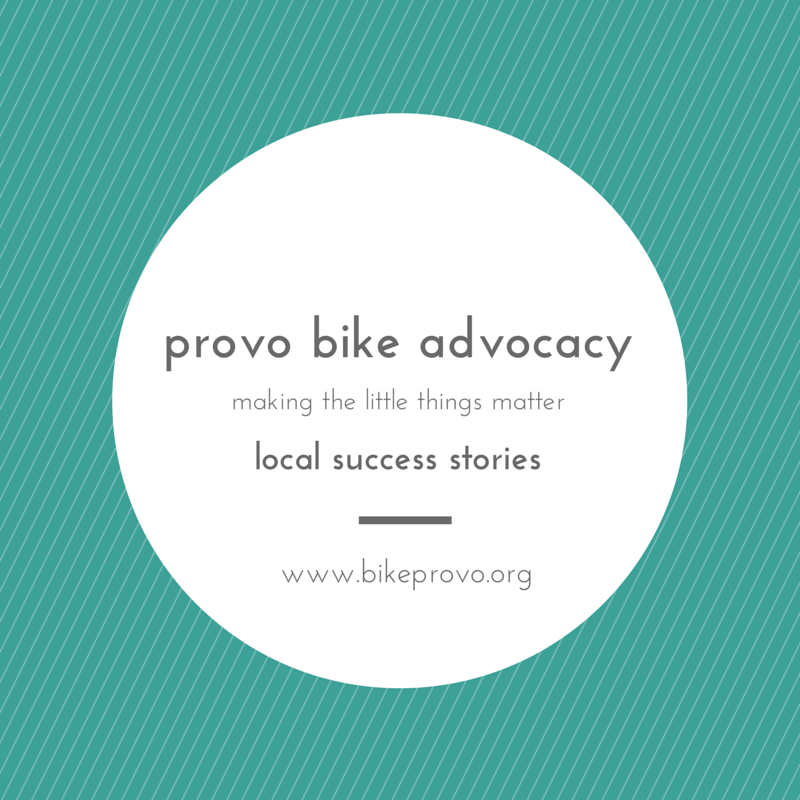 If you have a story about your own advocacy to share (encouraging neighbors to ride, helping a business be more bike-friendly, working with a local official…just about anything), please feel free to share it by sending an email to: bikeprovo@gmail.com.